Routine maintenance is essential for the upkeep of any home. A check on the appliances, heating and cooling systems, plumbing essentials, security and electrical facilities ensure smooth and easy living. 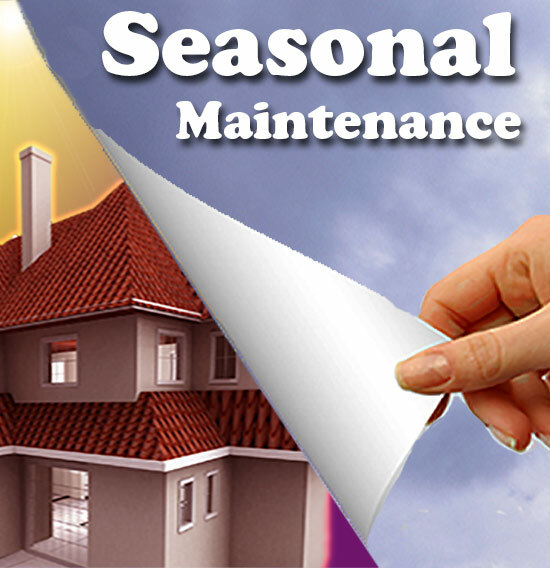 Seasonal home maintenance prevents unexpected breakdowns, financial strains, and keeps the home looking its best round the year. If home repairs are left unattended, they will only loom large and leave the home – a neglected one. 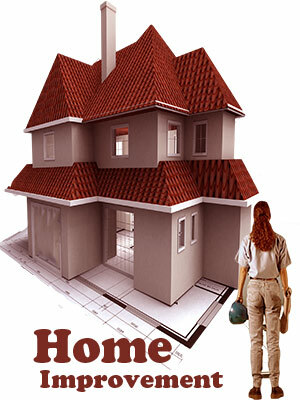 Hence, inspect your home on a regular basis and follow good maintenance practices seasonally. This is indeed an important month for home maintenance. Little wonder that 'spring cleaning' is synonymously used for periodic house cleaning. Focus on the interiors to prepare for the ensuing summer heat after months of humidity. Cleaning of windows takes top priority. And storm windows have to be replaced with screens. For instance if a hole is missed in the window screen, bugs might make their way inside. Duct tapes may be good for a quick fix but not a permanent solution. Smoke detectors must be checked for batteries. Fire hazards must be checked for, say, overloaded extension cords. Carbon monoxide detectors have to be checked. It is important to check if all the exits such as hallways and stairs are clutter free. 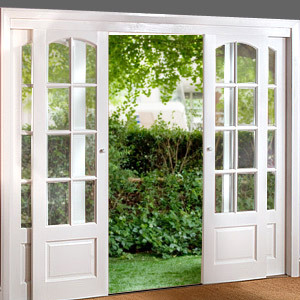 Similarly, locks, latches, and hinges on doors and windows have to be checked and replaced. Inspect for roof leaks, debris and loose shingles. Clean garbage, car park and shed, basement and attic. Gutters, driveways, yards and walkways have to be clear of debris. Remove leaves, branches and debris from gutters and ensure that waterways are properly drained from the house. Repair damaged gutter components if necessary. The clothes dryer vent system must be cleaned as lint can build up and cause the dryer to run longer than required, thereby wasting energy. Ensure that stairs, both indoor and outdoor are slip proof. Caulking around sinks, tubs and showers should be examined. Broken pavements on stairs need to be fixed. Also fix broken, gates, doors and fences. Inspect if they are functioning properly and replace if necessary. Check for pests, termites and rodents. If infestation problem persists, take professional help. Get the air conditioner ready for the ensuing summer. DIY tips can help to fix up any issue and user guides are available for regular maintenance. Ensure that puddles do not stand around the house for more than 24 hours. The pavement may be raised with some professional help so that water is drained away from home. Trees and shrubs in the backyard have to be trimmed and hanging branches eliminated. There is always the danger of plants weaseling their way into cracks and holes on the exterior of the house. It is better to nip them in the bud as they can cause extensive damage to the homes. Trees also have to be checked for interference with electric lines. Make sure that the swimming pool has pumps and filtration systems that work effectively. Check the exteriors of the house for paint requirements. Check if there are any holes in the brick work or any cracks in the foundation. RV awnings make outdoor experiences great one by providing shade for people to sit back and relax. RV awnings can be described as a porch on the roads or a home on wheels. You can feel at ease even on roads with these awnings, they can be easily fixed anywhere. If you feel like taking a break while driving, you can do so if you have a RV awning with you. There are a variety of RV awnings available in the market - awnings made of either fabric or metal, pop-up awnings, slide out or retractable awnings and awnings made with hook-on screens for shading and shielding all sides. The slide out or the retract awnings are the most suitable and handy to use. If you plan to have a picnic meal outside then awnings with screens are the best as they provide protection from rain too. RV awnings have a lot of accessories to go with them. 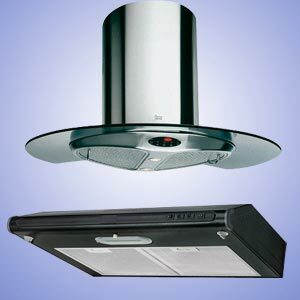 The list of accessories includes sun visors, fan, awning mats and light. Window awnings can be used to either cover a single window or cover an entire area where sunlight needs to be blocked. During summer, window awnings can reduce considerable solar heat gain. Earlier metal and canvas awnings were used extensively and their cover had to be redone once every five years. Modern day window awnings are made from synthetic fabrics like acrylic or polyvinyl laminates. They are water repellent, mildew resistant and are to a certain extent fade resistant too. While choosing fabric for window awnings, select a fabric that is thick and firmly woven. Awnings must provide sufficient ventilation so that they do not trap the hot air in and around the window. Do not choose light colored cloth for window awnings as they tend to reflect more light. Door awnings or canopies look much like a roof and act as a protective cover for the door of a building. Awning canopies can be extended away from a building and are commonly used in hotels or restaurants to cover the entrance and a portion of the exterior to convert it into an open air dining area. Awning canopies are made from canvas or tough water-resistant synthetic fabrics. They are fixed on a frame and are used primarily to cover the door or walkway of a building. There are many types of door awnings, for e.g. retractable awnings, metal awnings etc. Proper care of door awnings keeps them going in a good condition for a long period. While choosing an awning fabric for home use, ensure that they suit the local climatic conditions. Patio awnings improve the aesthetic look of any house. People who use their patio during the day in summer time will find that a patio awning is a blessing in disguise. Patio awnings have the ability to reduce 20% of the sun’s ray’s penetration thus offering the best shade. These awnings are perfect as they allow very little natural light and offer protection from harmful UV rays. Patio awnings come in attractive colors, sizes, styles and fabrics. Remember to carry a picture of your patio to help you decide on an awning for your patio. The accessories that go along with patio awnings include attachable screens and lights. The attachable screen safeguards the interior of the awning from bugs. The awning covers only the top part of the patio thus allowing breeze to flow through. A retractable patio awning can also be used so that you can pull it back and enjoy the clear starry sky. The awning fabric plays a major role on the amount of shade and shield an awning can provide. The quality of the awning fabric speaks for the awning’s strength and endurance. Purpose of use and location are deciding factors while choosing awning fabric. There are a variety of fabrics used for awnings and there are over 500 colors to choose from. It is advisable to choose a dark colored fabric for awnings as it provides better shade effect. There are fabrics with a light shade on the inner side and dark color on the outer side of the awning. While choosing an awning fabric, remember to choose one that is fire resistant, fade resistant and water resistant too. Also ensure that the fabric is strong and durable. A fourteen ounce fabric with double side color is recommended for awnings as it is colorful, strong and durable. It offers great protection from sun, wind, snow and rain. Awning fabrics with an acrylic coating are popular as they withstand more wear and tear and are easy to clean and maintain. With a deck awning, you have some extra space that you can make use of. Deck awnings also prove to be a great protection for all your garden furniture as these awnings covers the garden furniture from the harsh sunlight. These awnings are available in both fixed and retractable types. You can also settle on the fabric and fabric color of your choice as deck awnings are custom made. Make sure you choose a color that matches the exterior of your home. Canvas awnings shade the windows of your home and offer protection for all the furniture and upholstery. Canvas awnings also shade the interior of your rooms in an efficient manner. Canvas awnings are easy to maintain and few of them can be removed totally and washed in a machine at home. Metal awnings are best suited for commercial set ups as they are strong and durable. They provide excellent shade for the interior and exterior of your building. They not only protect the furniture inside your building but also help in cutting down the electricity bill. The interior of the building remains cool because of these awnings. They fit wonderfully into commercial buildings and act as sunshades for customers and passers by. Metal awnings that are used for commercial purpose can be custom made and require very little maintenance. First Published Date: 13 Nov 2013 Last modified Date: April 18 2019 This page may have been updated recently as new information is available or the content may have been edited for better readability.